(IRNA) - President Mahmoud Ahmadinejad on Thursday defended the transparency of Iranian nuclear program and said that no country in the world has such a transparent record. Addressing crowds of people in Islamshahr, he advised the bullying powers to revise their behavior and said they took anti-Iran stance in the past 27 years and created many problems in vain, reports Trend. The Iranians conquered the the height of nuclear technology while Iran was under economic, scientific and technology sanctions, he said adding that the same youths are able to meet their people's needs and achieve development. "Iranian national resolve has focused on utilizing the current capabilities to produce nuclear fuel as part of their legitimate rights enshrined by Non-Proliferation Treaty (NPT)," he said. "Iranian nation never wants beyond their legitimate rights," he said adding that Iranians call for negotiations and the world should know that they never back down on their rights. According to charter of the International Atomic Energy Agency (IAEA), the agency should have assisted Iran to produce nuclear energy but they did not do so, and what we have acquired now is the fruit of our youths' thoughts and efforts, he said. When a country becomes member of the NPT, both the agency and other nuclear countries should assist it to set up nuclear fuel cycle and utilize nuclear energy for civilian purpose, he said. The Islamic Republic of Iran respects the NPT and Safeguards Agreement of the IAEA, has currently close cooperation with IAEA, he said adding that the agency is now supervising the national nuclear program and Iran never violated the law. 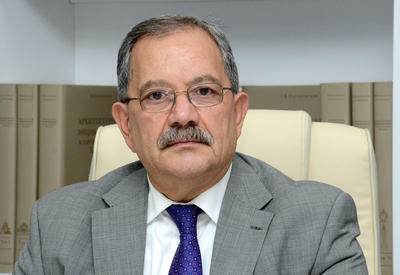 "We have designed our nuclear program for civilian purpose and are committed to NPT but some countries have made diversion from the NPT and produced the third and fourth generations of nuclear weapons ignoring their responsibility before the IAEA and surprisingly at the same time they say that they are concerned about Iranian nuclear program which may have diversion from NPT in future," he said.